Robyn Steward is a musician, author and educator. 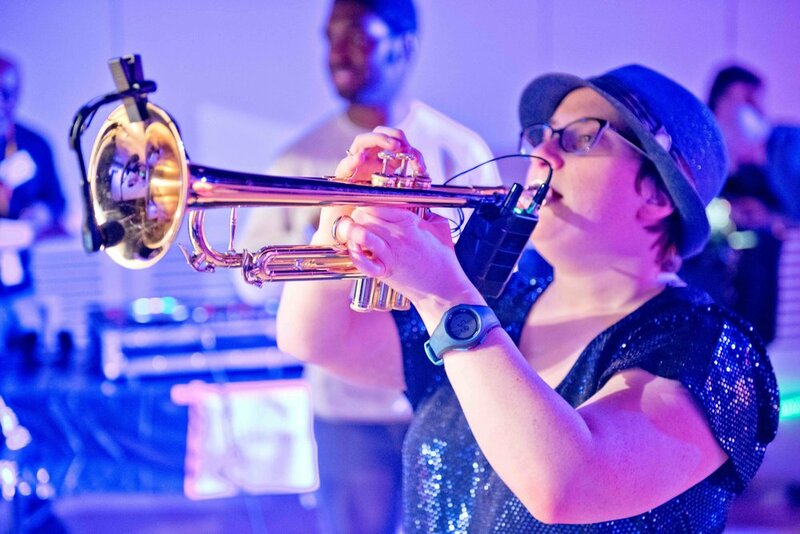 Robyn plays the trumpet, and regularly releases music on her website. She has a residency at Cafe Oto where she hosts Robyn’s Rocket, an immersive night of improvised music. Robyn is also part of the Heart n Soul at The Hub core team at Wellcome Collection. Robyn has completed a music commission for Battersea Arts Centre and is working on a new piece for Drake Music. She is also an honorary research associate at UCL (University College London) and written two books. Her new book ‘The Autism Friendly Guide to Periods’ is released in April 2019 - you can find out more about it here.